You sometimes find that it becomes impossible to say ‘yes’ every time but turning down any friendly request or gesture becomes a challenging one for everyone sometimes. We don’t want to say “No “ but at the same time internally we are not willing to say yes too. Hence we become frustrated .Though we don’t’ say NO, our internal emotions which change our mood sometimes just spoil our relationships at all. By saying YES we want to maintain the relationship but it sometimes it became worse rather than saying NO. Say ‘Yes’ only if you are really ready to say ‘YES” otherwise it is the best option for yourself to say “No”. We should listen to the request respectfully without interrupting the person in the middle so that other person should feel that you are taking interest on his request. 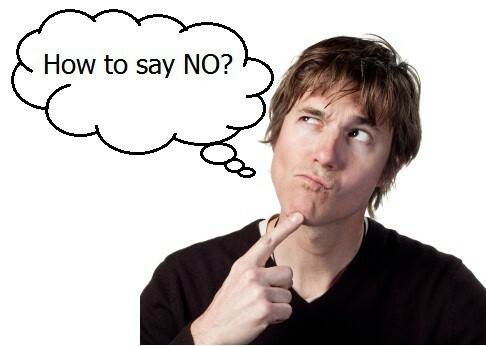 Phrase “NO” so simply as possible and say it to the person confidently. Don’t show your emotions such as don’t raise your voice or don’t show that you are upset. Raising your voice or saying no might show that you are not willing to accept the reques of the person. Turning down any friendly request or gesture can take nerve, but at times often necessary. When you can't or don't want to do something, get yourself together and kindly but firmly turn them down. But if you're not ready, you're simply not ready. Simply try to communicate that this time it is not possible for you. Don’t pretend yourself to say yes. You need to be selfish sometimes for yourself .If you are feeling bad to say No, think that if you don’t say No, you will die. It might add stress to you if you say yes. Sometimes you want to spent your leisure time in your own way. But if somebody asks you to spent the leisure going to somewhere that means you are killing the leisure time of yourself. This might lead to less sleep and can make you moody and unhappy in other work. There are something’s which you will have never back .You should think about yourself and then for others. If you want to Say No say No, nobody can force you to say YES if are not willing at all. Try to say it in well modulated voice or say it in confidently. Try to transfer the ownership of your refusal to something else like you can but as your schedule is booked now .You can be with other time if possible. No need to explain more otherwise it deflects any resentment they might have towards your schedule. No need to feel obligated to explain as you have your reasons and may not be the one you wish to discuss. Just say that you are sorry and you need to go somewhere else. 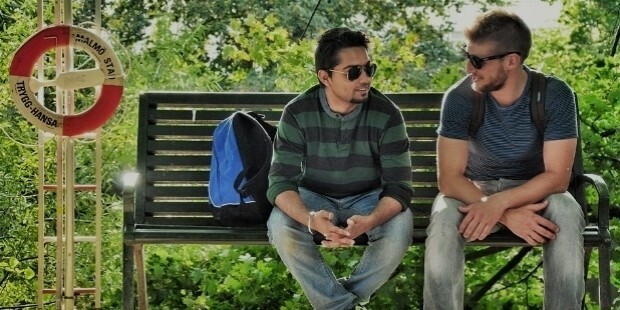 Even if you want to give explanation make it so simple. Always keep in mind that they are requesting for and you have the option to say ‘YES’ or ‘NO’. You can simply say the followings sentence to say No. 1, I can’t for this time, may be next time. 3. I have other schedule booked. 5. Please don’t mind, I have some urgent work to complete. Try to practice the polite way to say ‘No’. The other person should not felt neglected or ignored. You understand their emotions too. They are making request to you because they feel comfortable with you. So, you understand this and make practices to say No without hurting the other person emotions.